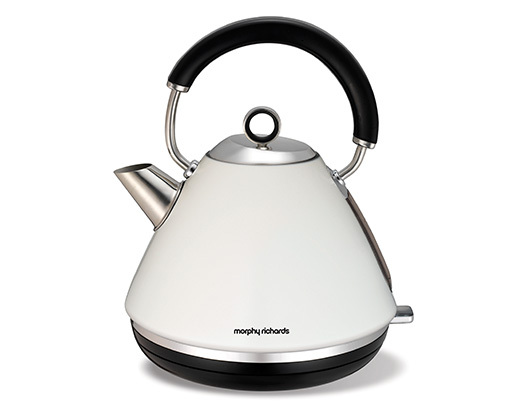 Celebrate colour with the White Accents Kettle from Morphy Richards. Stylish traditional design meets a crisp white stainless steel body. The White Accents Kettle has a massive 1.5L water capacity and a 360 connector for both left and right handed use making this beautiful masterpiece a must have for every kitchen.